Kuda Mahachi says Bulawayo is a second home for Orlando Pirates because they have a huge fan base in the City of Kings. The Zimbabwe international midfielder even says all the people of Bulawayo support the Soweto giants. Mahachi, who grew up in Bulawayo supporting the Buccaneers, is expecting a warm reception for his South African side. "Should I be considered to travel with the team to Zimbabwe, I will certainly be emotional because I'll be going back home to a place where I grew up," he told his club's website. "Everybody in Bulawayo supports Orlando Pirates. "We grew up watching the team and supporting players like Teko Modise and Joseph Kamwendo, who were an inspiration to watch. "The team I even played for while I was based there, Highlanders, modelled themselves around Orlando Pirates. 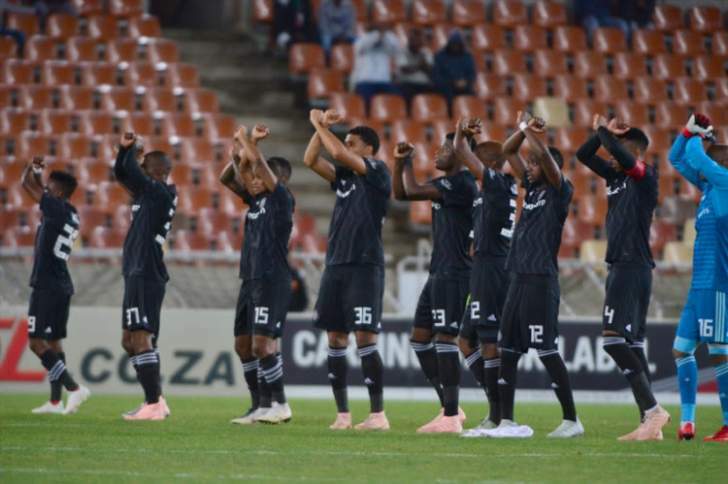 ''They even adopted the Club's iconic crossbones salute before the start of their matches. "I have been inundated with calls from back home telling me that they are excited about the prospects of seeing Orlando Pirates play in Bulawayo. Having scored two crucial goals in successive matches, Mahachi has proven to be quite the impact player coming off the bench. "We can't underestimate FC Platinum, they are a quality side with a pedigree having won the league in Zimbabwe. ''We can expect them to come hard at us. "Their game is almost similar to ours because they also enjoy playing with the ball on the ground and keeping possession. It should be an interesting game on the weekend," he said.